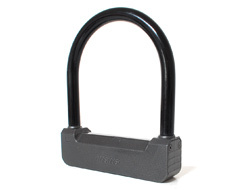 Locks form bicycles vary greatly and you often need to choose between weight and security. Many of our locks are insurance approved to Thatchem and Sold Secure but often two medium security locks are better than one high security model. 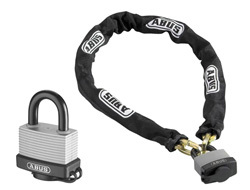 An ideal situation is to have a lightweight lock for when you are on the move and an additional high security lock and chain for leaving it overnight. 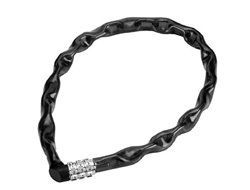 A low cost and convenient 3 digit combination cable for bicycles and gates. A plastic sheath gives it additional protection from the weather. 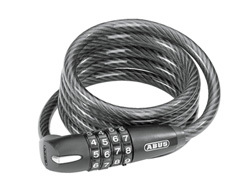 An excellent 1.5 meter cable with an integrated 4-digit combination lock allowing you to set your own pin. Ideal for a range of applications including bicycles or gate security. 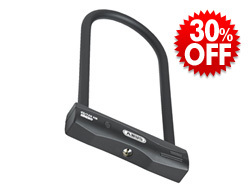 A high quality U-lock primarily designed for bicycles. 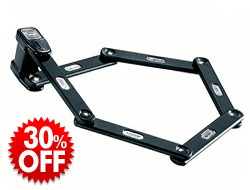 Features a 12mm hardened steel bar and is independently tested as a Sold Secure Bronze grade. Also includes a frame fixing bracket. The Granit edition of the Steel-O-Flex series with a Sold Secure Gold rating. 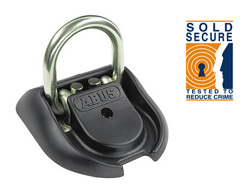 It is resistant to saws, bolts cutters and the added security of a ABUS Plus locking mechanism makes it impossible to pick. 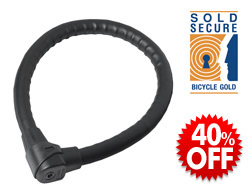 A revolution in flexible security and ideal for locking up bicycles. The solid nature makes it much stronger than its cable and chain counterparts. Also comes with a frame mountable sheath. Motorbike locks tend to have similar specifications to the high security bicycle locks and both are interchangeable. 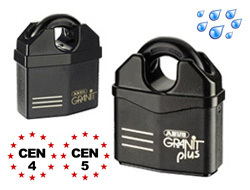 However, since weight is often not as much of an issue for a motorcyclist the best and most secure option is a separate padlock and chain tested to a highCEN Rating.